Dunellen Skylight Theatre presented a musical revue at the Dunellen Cinema Cafe (a.k.a. Dunellen Theatre). 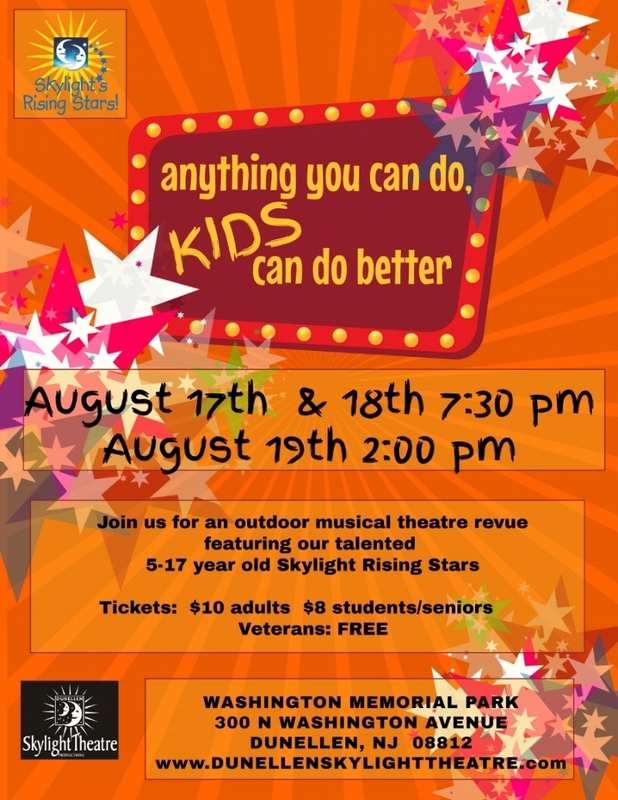 This musical theatre revue featured our talented 5-17 year old Skylight Rising Stars. The show was performed on the stage at the Dunellen Cinema Cafe.